This book is a collection of articles published by Ali Azayku in scientific magazines such as Hesperis-Tamuda. They are on the social and political history of rural societies in the Atlas mountains and their relationship with central government. He has tried to renew the field of scientific research on Morocco through themes often ignored by historians, such as the production of rural ulemas, the position held by the rural zaouïa and the contribution made by the semantic interpretation of the names of tribal groups to the understanding of classic genealogies. In this book, Ali Azayku has tried to focus on the main stages of the invasion of North Africa by Muslim conquerors. He has especially tried to pinpoint the complex processes by which this region was assimilated into the so-called Muslim cultural and political world by casting new light on ancient sources written in Arabic by Muslim geographers and chroniclers. Berber Identity (Amazighity) and Intellectual Debate is published by the Tarik Ibn Zyad Centre in Rabat. 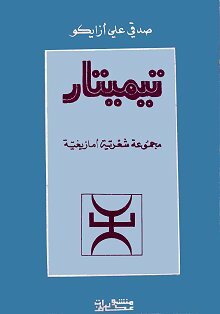 This book is a collection of articles about amazigh which have appeared in various Moroccan newspapers and magazines since 1969. 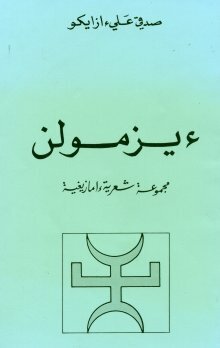 It contains part of Ali Azayku’s intellectual output, in particular the review he wrote on Hmad Amzal’s book Amanar, published in 1968, in which he revived the debate of transcription into amazigh, his calls for a re-writing of the country’s history, and above all, the article which led to his imprisonment. Rihlat al-Wafid fi axbar hijrat al-walid fi hadihi al-ajbal bi idn al-Wahid (Account of the travels of the Marabout of Tasaft in the High Atlas Mountains), (written by the son of the marabout Abadallah Ben Al-Hajj Brahim At-Tasafti), Edition and annotations, Kenitra, publication of the Arts and Human Sciences Faculty, 1993. This book is a critical edition of an account written by the son of the marabout of Tasaft (High Atlas Mountains) travelling amongst the Atlas tribes at the time of Moulay Ismaïl. It has a certain historical interest, by its recounting of the relationship between the central powers and rural societies as well as social structures prevalent at that time. This was moreover one of the main concerns of Ali Sadki Azayku. But the publishing of this text stands out mainly - besides the confrontation between the different examples still in existence translated by Justinard at the beginning of the twentieth century – because of its author’s efforts to verify the place-names and re-transcribe them correctly.